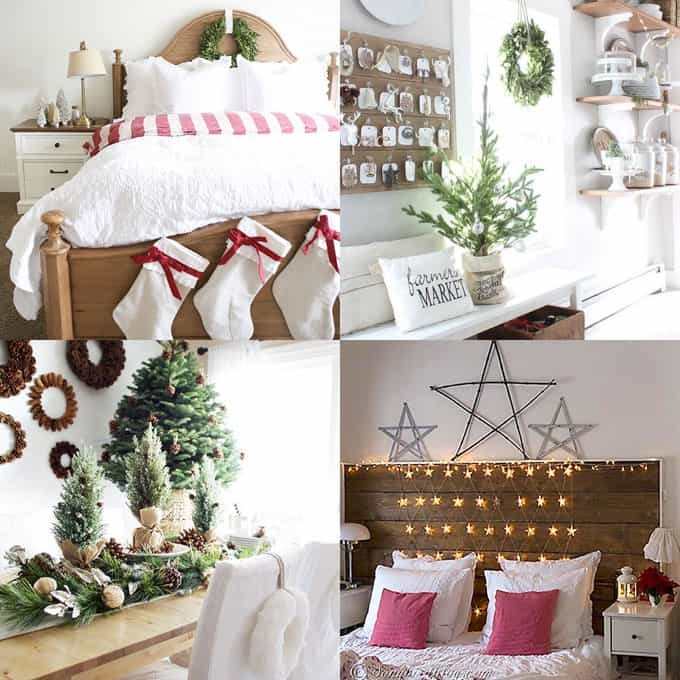 Here comes part 2 of our Favorite Christmas Decorating Ideas For Every Room in Your Home series! We all know how easy it is to drool over other people’s beautifully decorated homes, and to feel overwhelmed about what to do in our own homes! 1 -4 . How to decorate the kitchen and dinning room for Christmas. The first step is to look at what you have in a kitchen and a dinning room. The counter, cookwares, dishes and dish towels, shelves, dinning tables and chairs, etc., are all opportunities waiting to be decorated! You may also like: How to make long lasting Christmas table decorations / centerpiece in 10 minutes! How to make long lasting Christmas table decorations / centerpiece in 10 minutes! 9 – 12 . How to decorate kitchen cabinets and shelves for Christmas. 13, 14 . Set up a hot cocoa bar in a Christmas kitchen. 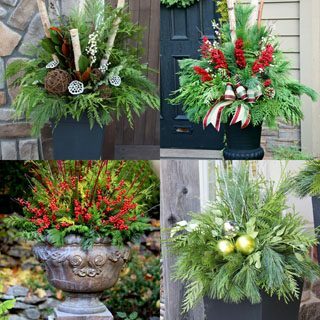 Beautiful stuff, I really love the simple one with mostly evergreens! We mostly ignore the kitchen when we decorate but I think we’ll change that this year. There are lots of nice ideas here! I needed this list! We are having Christmas at our house this year for the first time and we’ve only recently moved into a house from a small apartment so we gotta decorate like crazy and have nothing! I am definitely making the headboard with the lights . 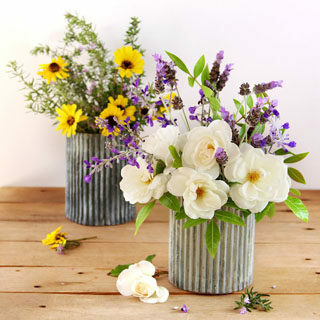 You have picked the most beautiful decor and ideas. It is VERY inspiring. It’s so exciting to decorate for the holidays! I think it’s awesome that you shared these amazing ideas. I have not thought of what theme to go with for this year. These are some amazing ideas! I really love the DIY centerpiece and the hot cocoa bar. These are all such great tips! Love them all! I can’t believe the Holidays are almost here!! I cannot wait to star decorating for Christmas.I really fancy the cocoa bar idea. I love all these Christmas decor ideas! I don’t have much room in my kitchen but I always try to decorate it a little bit and I like to tie bows on the cabinet knobs. This is so cute! I really need to pin all of these inspirational images! Christmas is always a fun holiday in our family and I love to decorate it to celebrate the special holiday!!! It is also my daughter’s birthday so we just love Christmas!!! All of this decor is so stunning! You really have me in the Christmas spirit! Wow!! 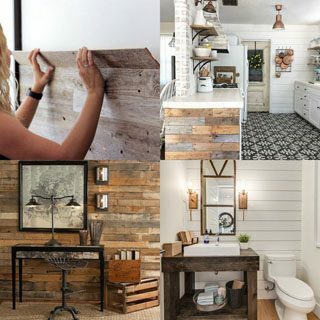 I really like these ideas on decorating your home. You gave me some great ideas on Christmas decorations. 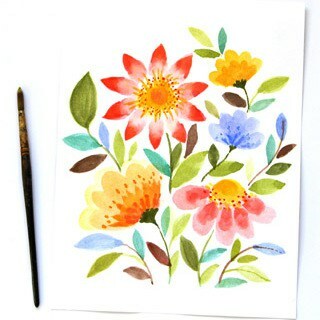 You are so creative and talented. Christmas decorating?! Damn, this year has flown by. Love the ideas, thanks for sharing them! I am loving all the Christmas decorating ideas. I especially love the bench with the storage underneath. LOVE LOVE LOVE the decorated toilet paper rolls! My bathrooms will look festive this year! Thanks for putting together so many marvelous ideas! I am absolutely in LOVE with your butcher/craft paper Oh holy night over the mantle!!!! I have to ask did you free hand write the wording ?!? It would look absolutely perfect above mine. . I’m just not sure if I should just go for it and write it myself or if you have a simple way to do it 😊. Thank you! We love Christmas decorating! A lot of ideas here are great because we don’t have to put them right back into storage. They would look wonderful for another month or two!